Today was not a good day for social work. It was windy and cold, another Cape Town moody day. Really when is this weather going to turn around?? It is October for crying out loud. 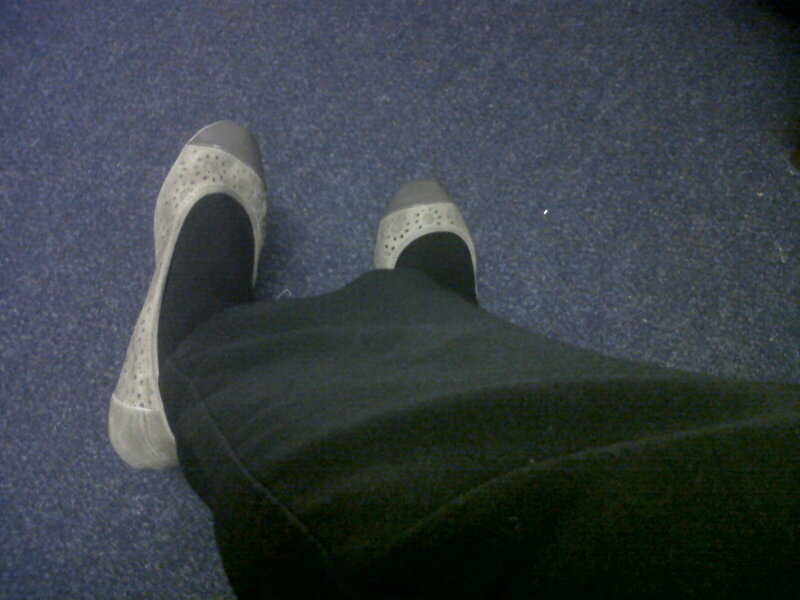 Anyway it got me thinking do social workers really have a dress code??? I was standing by my wardrobe debating whether to wear tights or thick socks but whatever i was going to choose needed to go with flat shoes!!! In the end i settled for a plain pair of black pants, red top and matching jacket. I chose a pair of socks to keep out the cold and wore my favorite pair of flat pumps. Does not sound glamorous does it??? Well in my day i have come to appreciate the value of flat shoes….if you recall my article “A day in the life” you would remember that I am often chasing down moody teenagers and trying to put out fires (sometimes literally),… well in this case I mean stop fights. So high heels stopped making sense to me. Besides being office bound all day really makes one choose a more laid back wardrobe. I love to see social workers who come for meetings or those I meet on the off-chance that I have to run to the Children’s Court, all dolled up in their matching outfits and killer heels. However most social workers are very practical in their dress sense. Its funny that before I became a social worker I pictured social workers as the conservative types who wear practical court shoes and spectacles. Looking all serious and business-like. Then I became one and realised its an old stereotype and today’s social workers are young and hip… mostly well dressed and fashionable. And yet they remain business-like and are also taken seriously. I believe one’s appearance is the first impression people are going to get from you!! So even if I cannot wear heels everyday I try to look fashionable in flats and still wear some make-up. Not to forget that dazzling smile one greets clients with everyday….our smiles adorn us more than our clothes can ever manage to do. So in a nutshell social work does not have a dress code. I wear what is comfortable and practical yet still fashionable. As long as one remains professional…not showing tattoos or wearing extremely revealing clothes to maintain the dignity of the profession. And I might add tattoos in an environment with young impressionable adolescents need to stay covered, next thing you will see them with identical ones. I speak from experience because once I had a child copy my hairstyle and dress style to the last dimension, we looked like twins. Lucky it was a good image,not a bad one.